I designed a poster and bookmark for the American Library Association (ALA). Buy the poster ($16), or Buy the bookmark ($8.50) (All proceeds benefit the ALA). 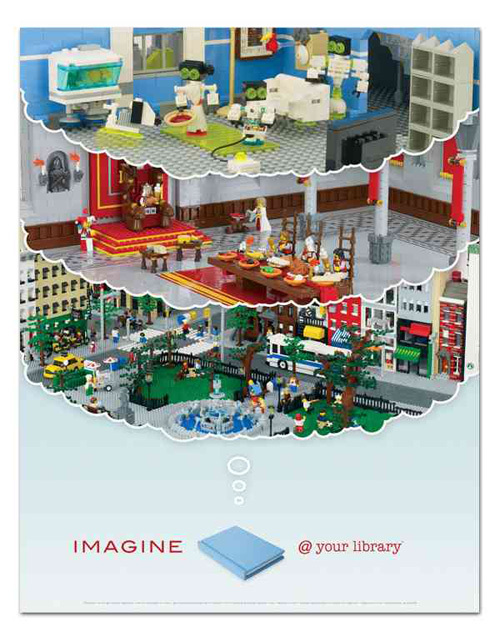 The poster also features scenes from three of my children's books, Cool City, Cool Robots, and Cool Castles which each feature 32 pages of tips, tricks, cool models, and building instructions.